Springfield, MA – Covanta (NYSE: CVA), a world leader in sustainable waste management and renewable energy, today announced a new partnership with nine Western Massachusetts municipalities for bundled sustainable waste management services. Covanta will provide sustainable waste disposal at the Covanta Springfield Energy-from-Waste facility, in addition to other waste services. 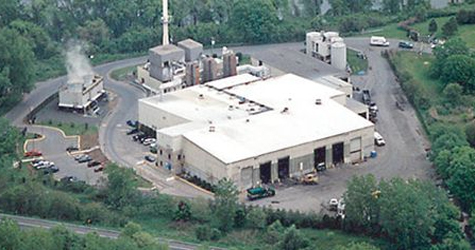 Covanta is the owner/operator of the Covanta Springfield Energy-from-Waste facility in Agawam where eight of the nine municipalities have disposed their municipal solid waste since the facility was built in 1988. The original eight municipalities, Belchertown, East Longmeadow, Granville, Greenfield, Longmeadow, Ludlow, Southwick and Wilbraham bonded with one additional community, Shutesbury and partnered with Covanta to reach a new agreement. The nine municipalities will send approximately 25,000 tons of municipal solid waste to the Covanta Springfield Energy-from-Waste facility which provides area communities with an environmentally superior alternative to landfilling and generates clean, renewable electricity for 5,000 homes. Covanta will also provide electronic waste recycling, organics recycling, secure medication and bulk waste disposal. The new agreement is slated to begin in July 2014 with an initial term of three years followed by mutual extension options. Covanta offers municipal and commercial customers an array of sustainable waste services that includes energy-from-waste disposal, recycling, bulky waste disposal, e-waste recycling and organics recycling/composting. These services help communities and businesses along a path to more sustainable waste management by keeping waste out of landfills and better managing waste materials as resources. If greater recycling and energy recovery were applied across the U.S., greenhouse gases could be reduced by approximately 260 million tons, equivalent to closing 75 coal fired power plants or pulling 55 million cars off the road every year. Covanta is a world leader in providing sustainable waste and energy solutions. The Company's 45 Energy-from-Waste facilities provide communities and businesses around the world with environmentally sound solid waste disposal by using waste to generate clean, renewable energy. Annually, Covanta's modern Energy-from-Waste facilities safely and securely convert approximately 20 million tons of waste into clean, renewable electricity to power one million homes and recycle over 440,000 tons of metal. Energy-from-Waste facilities reduce greenhouse gases, complement recycling and are a critical component to sustainable solid waste management. For more information, visitwww.covanta.com.